This plant is loved for its relaxing scent and providing deep shades of violet, blue, deep pink and mauve. A very popular Lavender is the English Lavender Hidcote. This is perfect for any garden and can go in a container, the ground or even a hedge. 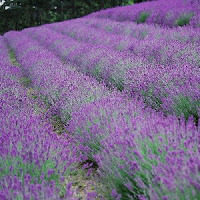 Another popular Lavender is the French Stoechas Mixed. This is an attractive and unusual Lavender and loves the sun. Outdoor Tomatoes are tender plants and prefer to be in a warm spot preferably on a south facing wall. During winter, dig the area that you will use for planting thoroughly and incorpate garden compost plus peat. Before you plant the Tomato plants it is a good idea to rake some general fertiliser through the soil eg Growmore. If you are short of space in your garden you can grow Tomatoes in containers or bags for a patio or balcony. The plants will need more water if you decide to grow them this way. The time to sow the plants is between May-June. 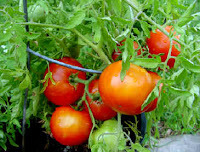 To care for the Tomato plant it is important that you remove dead or yellowing leaves, water regularly in dry weather. Do not over water or let dry out as this will cause the blossom to end or rot the fruit. Feed regularly with Tomato fertlisier eg Tomorite. When the small Tomatoes have developed on the 4th truss ( fruting stem) remove the tip at 2 leaves above this truss.